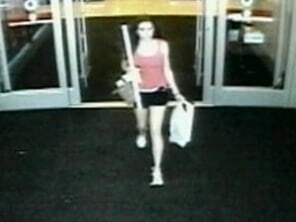 June 5: Kansas police release security video of an 18-year-old woman who was last seen in a store parking lot. MSNBC's Chris Jansing reports. June 5: Missy and Greg Smith, parents of missing teen Kelsey Smith, talk with MSNBC's Contessa Brewer about the search for their daughter, who disappeared from an Overland Park, Kansas, store on Saturday. As one of five children of Kansas law enforcement officer Greg Smith, 18-year-old Kelsey Smith knew the family rules very well. Her dad had taught them to her and she, like her siblings, knew she was responsible to let her parents know where she was going. That way, Greg Smith had told himself, if one of my children ever goes missing, I know where to point police in their search for my missing child. Kelsey Smith had just graduated from Shawnee Mission West High School and was now counting the days before she'd follow in the steps of her older sister and attend Kansas State University, where she hoped to join the university's marching band and eventually become a veterinarian one day. She had hopes and dreams that included rooming at college with a friend, Megan Hoss, one of many of her friends that are now involved in the frantic three-day-old search for missing Kelsey Smith. Kelsey was looking forward to her date Saturday night, this with her boyfriend of six months, John Biersmith. She had to run a few errands before meeting Biersmith at her home, where he was waiting to take her to a pool party at 7:30 p.m. and then out to dinner to celebrate their half-year anniversary together. Kelsey never made it home. She told her mother that she was going to a local Target store to make a purchase, and store surveillance cameras show her in the store and then show her leaving at about 7:10 p.m., obviously enough time to get back to her home and meet her boyfriend. Surveillance cameras showed something, somebody else that police are now interested in. They show a younger white male wearing a T-shirt, shorts and tennis shoes. He has a goatee-like beard and a watch on his left wrist. Although one of many people in the Target store at the same time as Kelsey, he has become a so-called "person of interest" to police in their attempt to find Smith. Most know that in this day of surveillance systems, that your chances of being seen on some type of store, parking lot or street surveillance camera are very high. Although Smith's grandparents were the first to locate their granddaughter's car, an old 1987 grey Buick Regal with a Nebraska 30-day temp paper tag, parked outside of a Macy's department store in a mall nearby the Target store where Kelsey had been captured on film, it made no sense for her car to be there, and no sense for her car to have turned left when seen leaving the parking lot. To get to her house she should have turned right. Further review of the parking lot video shows Kelsey, having just left the Target, opening the passenger side door of her car and placing packages on the front seat. She then attempts to enter the driver's side door when from out of nowhere you see someone running toward her. The unknown person runs up behind her and pushes her into the car. That's when her car is seen turning left out of the parking lot, left and away from her home, her parents, her boyfriend and the safety of friends and family. Police say when her car was located two hours later it had her purse and packages inside, but Kelsey was missing.